The summer of 1962 was a time of upheaval and transition for both Marilyn Monroe and United States drug policy. 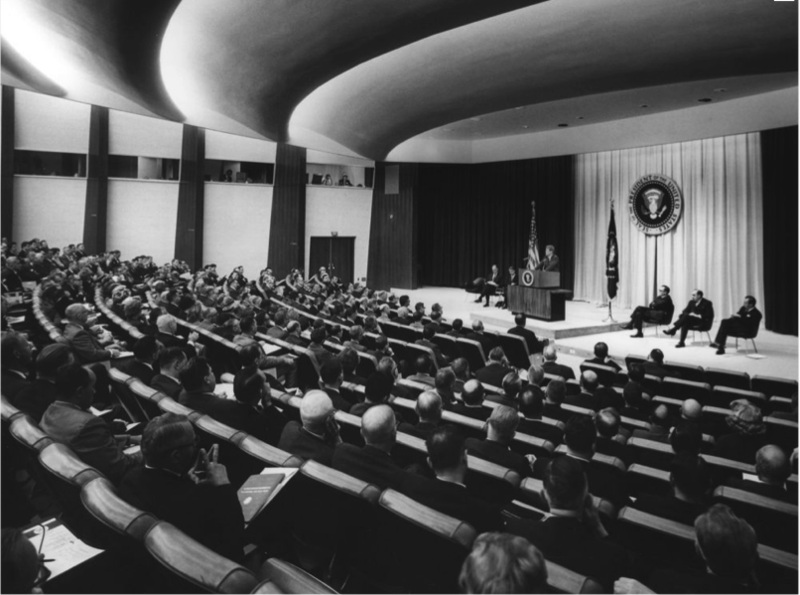 The longtime head of the Federal Bureau of Narcotics (FBN), Harry Anslinger was on his way out, and in May, President Kennedy announced he would be holding a White House Conference on Narcotics – the first of its kind – for a complete appraisal and potential overhaul of the nation’s drug regime. Focused on “dangerous drugs,” leaders of the Food and Drug Administration were also clamoring for more power to police amphetamines and barbiturates. Finally, consumer demands for safer medicines grew more insistent when news broke that thalidomide, a minor tranquilizer, was causing birth defects across Europe and could have equally devastated American mothers if not for the heroics of Dr. Frances Oldham Kelsey. All of these forces were threatening to break-up the traditional regime, which was based in the Treasury Department and focused only on policing the big three – opiates, cocaine, and marijuana. By August, the future was equally uncertain for Marilyn Monroe. Her last public appearance had been in May, when she forever redefined the song “Happy Birthday” by singing it as only she could for John Kennedy’s birthday celebration. That performance only heightened public speculation about her relationship with the President. The public also speculated about her future in films when they read about her problems with producers and the studio’s accusations of unreliable behavior and problematic drug use. Biographers, such as Lois Banner, have also suggested the star was suffering from the break-up of her affair with another Kennedy brother – Attorney General Robert Kennedy. 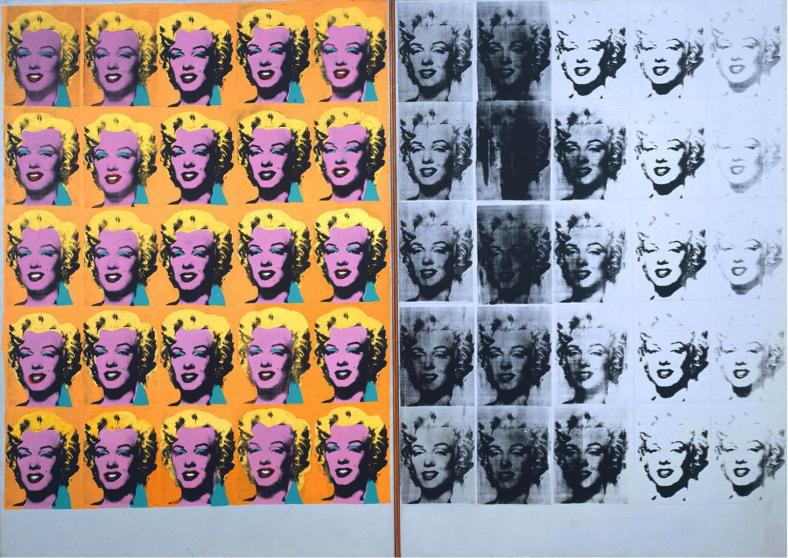 Much like the details of those associations, the exact causes and context of Marilyn’s death remain mired in a murky mix of rumor and reality. All that is certain is police officially reported finding Monroe dead in the early morning hours of Sunday, August 5, 1962. She died from an overdose of barbiturates, prescribed and administered by multiple doctors. Beyond taking advantage of the “opportune climate” to win political support for a new drug policy, Kennedy needed to deflect attention from any personal connection to Monroe’s death and justify his own complicated relationship with prescription drugs. Suffering from Addison’s Disease, a hormonal deficiency disorder, President Kennedy relied on numerous pharmaceuticals to maintain his public image of youthful vitality. According to historians Robert Dallek and Robert Caro, this drug regimen alternatively included opiates or cortisone for back pain, amphetamines for energy, and barbiturates and tranquilizers to relax, often administered by the infamous Max “Dr. Feelgood” Jacobson. For all of those reasons, the Kennedys needed a new language for talking about the dangers of pharmaceuticals without denigrating their legitimate use. The administration found its rhetorical solution with assistance from the same group that designed the nation’s plans to get to the moon. In preparation for the upcoming White House Conference on Narcotics, Kennedy asked his Science Advisory Committee to write a preliminary “progress report.” That report rejected the use of “addict” and “addiction.” Seeking a new terminology that was not synonymous with illegality, Kennedy’s advisors suggested a concept that has become ubiquitous in the parlance of our own times – drug abuse. On August 6, while the front page of The New York Times was filled with news of Marilyn’s death, the paper also published a White House press release confirming the dates of its upcoming conference. 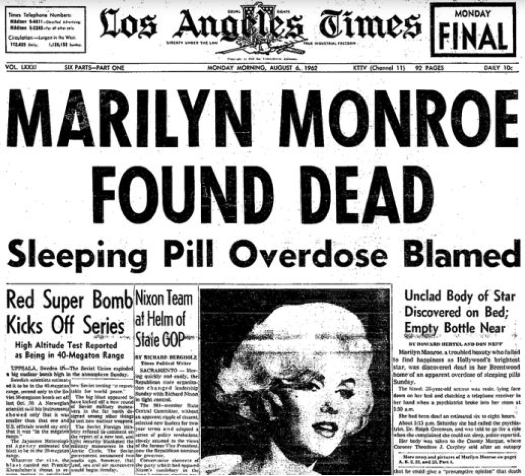 The announcement included an updated name for the event, labeling it a conference on “Narcotic and Drug Abuse.” Though few would have noticed, the American public thus learned of the death of Marilyn Monroe on the same day the nation’s leadership and newspaper of record both used the term “drug abuse” for the first time. Adopting the rhetoric of drug abuse, Kennedy harnessed related movements to reform federal drug policing and to ensure pharmaceuticals were safe and effective, and bound them together in the public imagination. He also stumbled upon a capacious concept that would survive the upheavals of the 1960s and become the basis for our modern drug regime. Laws to control the abuse of drugs also had support from across the political spectrum, in part because the rhetorical distance between legitimate use and illegal abuse gave self-diagnosed users of such drugs no cause for concern. Therefore, legislation could appeal to those law and order voters who also regularly popped a pill to slim their waistline or ensure a restful night’s sleep. Most important, the concept of drug abuse is now used to describe the unacceptable use of all drugs, its deployment based as much on characterizations of the user as the drug. Marilyn Monroe’s life has certainly been characterized and judged, and many have examined her personal drug use or abuse. Now as we come to another anniversary of her death, perhaps we might also remember how that tragic event inspired a new era in federal drug policy. The author states that “Most important, the concept of drug abuse is now used to describe the unacceptable use of all drugs, its deployment based as much on characterizations of the user as the drug”. I would say that the ‘demonisation’ of the drug user goes much further back. In Victorian times, there was much talk among alcohol reformers about the ‘demon drink’ suggesting the evil resided in the substance rather than the person. But as recreational or non-medical drug use became a political, social and moral issue at the start of the 20th century, Wiliam Hearst’ s rapacious ‘yellow press’ was writing about ‘drug fiends’ accompanied by lurid illustrations with the clear intention of labelling the users themselves as almost supernaturally dangerous. And certainly as far as the UK tabloid press is concerned, the notion of the ‘crazed drug fiend’ lives on – often in those very woros. Yes. To that extent I agree that it has become a loaded term. . In many spheres the use of any drug controlled under drug laws is per se deemed ‘abuse’. Absolutely. And, as those who follow legalization debates in this country know well, with drug control laws government determinations of “medical use” have become as politicized as designations of “abuse.” Thanks again for reading and commenting!